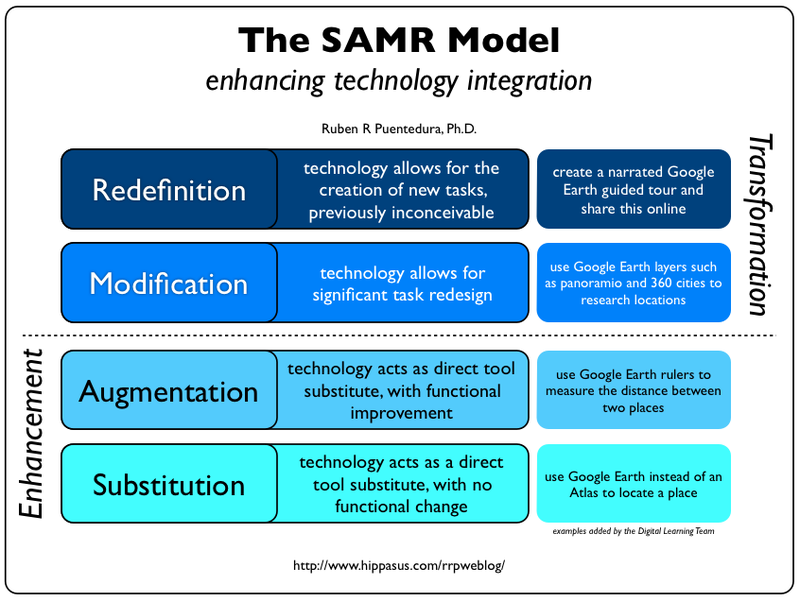 Originally posted on my Edtech blog, I have included this here as it contains numerous examples and reference to not just the SAMR model but the ISTE Student Standards as well. 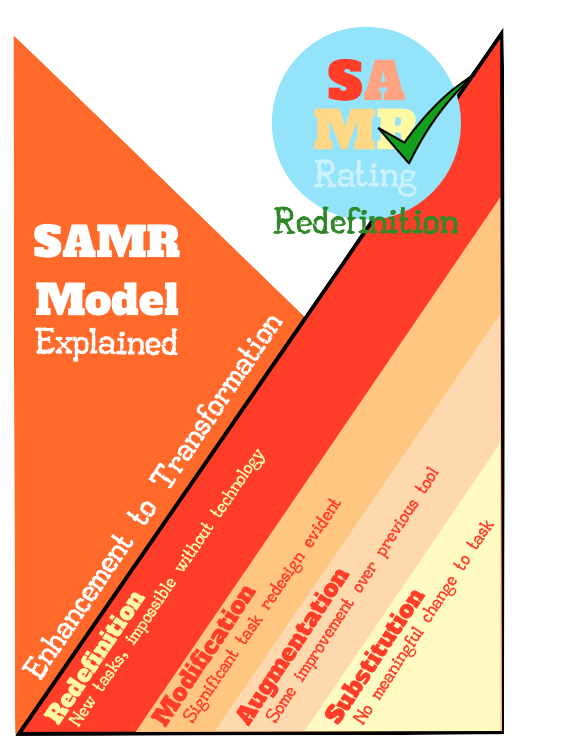 Simple examples of movement through the levels of the SAMR Model. 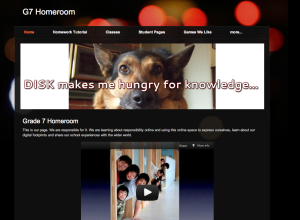 As the Grade 7 Homeroom teacher at my new job (the one with all the hats) I have created a website for my class. While there are a variety of pages (not all completed in this ongoing project) every student has a page of their own to design and add to, with some parameters, as they see fit. Students, furthermore, can make a record of the reflections they make on their term goals for all to see and share their progress. I could go into much more detail here but with so much to say I am trying to keep things a little briefer than the opus this could so easily become (learned in COETAIL to keep blog posts short to attract readers, failing here!). As a specialist charged with integrating ICT across the curriculum and promoting the school I have been expanding Doshisha International School, Kyoto’s presence on many fronts. 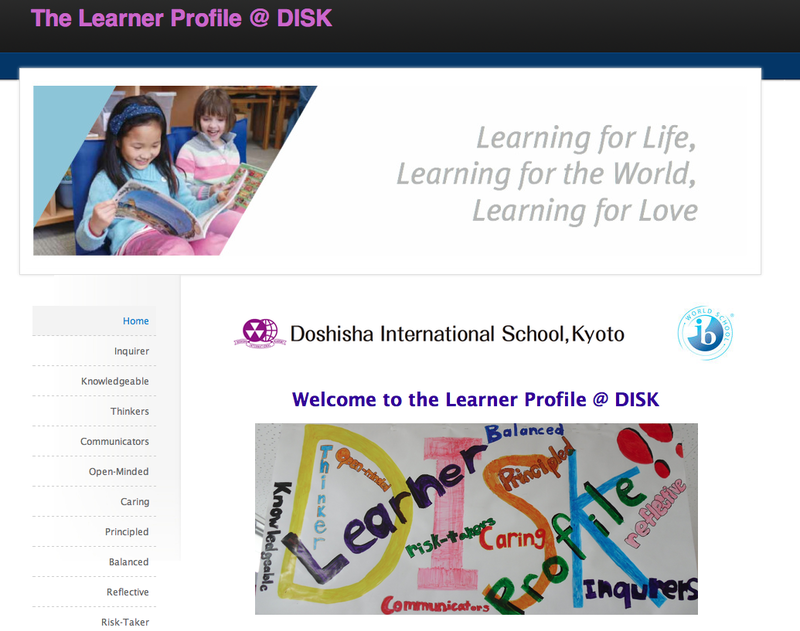 I have created The Learner Profile @DISK to raise awareness of this fundamental aspect of our school’s programme. The site is composed mainly of student generated content. Students share their work and reflections on what the attributes of the profile mean to them. We have actually had IB commentary on this already. This is also a formative task of sorts, as we will be delving in much greater detail into the creation of websites in the unit that will ultimately become the focus for this presentation. Students in the Middle School have the opportunity to mentor their Elementary School counterparts for service hours by assisting them with their uploads (scanning if need be) and reflections. This is line with our International Baccalaureate Programmes as cross-year collaboration and project-based work focusing on the development of Transdisciplinary skills is one of our highest aims. Responsible Use @DISK is another website where families in our school community can spend time together learning about safety, copyright and issues of responsible digital citizenship. The online agreement form is then filled in and tabulated via Google docs. I have started slowly here. Being new to the school and having more than enough work to keep me busy, I wanted to let people get to know me before making demands on their time and introducing any changes to classroom practice. 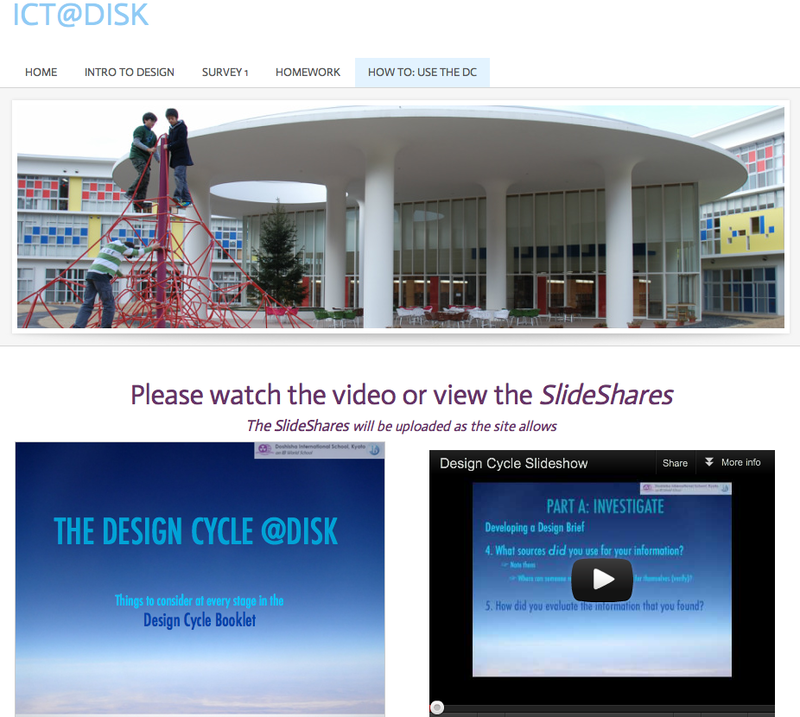 After having shared my work with the aforementioned increase in web presence, I began taking classes to introduce both the Learner Profile @DISK and the Responsible Use @DISK to the students. I explained the process for the latter with families through email and at an introductory session held during our Meet & Greet at the start of the year. I worked (indeed continue) to help colleagues with technical trouble-shooting before our first edtech training session. The initial session was held for the Elementary School teachers and focused on a very general introduction to the use of new media tools in class through the creation of Weebly accounts. Teachers created individual home pages and added blogs before going on to experiment with posting pictures and commentary on both. We discussed copyright, creative commons citation and privacy issues. There is much more information available at the school site, EdTech Training Sessions. 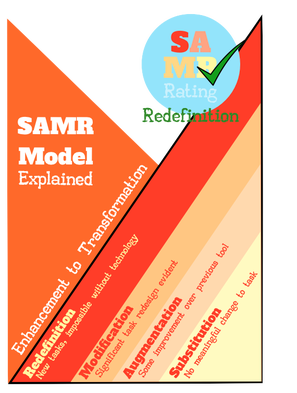 I have used a website for the course to flip the classroom. All of the important documents for our classes are here. I have also incorporated a number of instructional YouTube video/SlideShare mini-lessons for students to use and review at home, freeing up more class time for creation and face-to-face collaboration. As units finish I can "hide" their pages to avoid cluttering up the site with out-of-date information. From this point I will discuss and explain my unit as more specifically prescribed which will cover aspects of planning and execution. Everything I discuss, however, is directly related to my study and implementation of what I have learned in COETAIL. The unit is about Web Design & Online Responsibility. First off, I was able to execute this unit as my first flat classroom experience with a fellow COETAIL’er at New International School Thailand (NIST). Jesse Scott (@twowaystairs) has proven insightful, full of ideas (I will naturally claim as my own now) and patience in planning and executing this task. Flat classrooms, I have learned, are harder than they sound. For starters, while the NIST focus had a solid content correlation to our focus, I was committed to website creation while Jesse was all about an introduction to programming through Scratch, we clearly were producing products in significantly different formats. Fair enough. We decided to forge ahead regardless in a more limited fashion. Sounded easier to me that way anyway. We backed and forth about times, plans and directions through email and Skype. 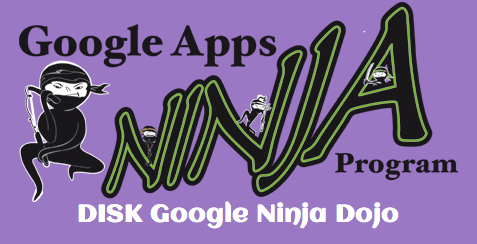 Jesse shared his guiding questions and pointed out that there were a number of excellent resources available from the good people at Yokohama International School in their Digital Dragons program while I produced tracking documents through Google Drive. Easy, right? Even with no drastic time zone issues to overcome or complete shadowing necessary, with everything else in the busy lives of two IB teachers messages through email soon get muddled and we actually considered bailing at one point. I am so glad we didn't. With the blog communications poised to begin over the weekend and everything else our classes have gained and still stand to gain it would have been a tragic waste of an opportunity. Please take a look at my planning here in the Understanding by Design Unit Planner (template provided by COETAIL) for a better idea of what I mean. Take a look at the ISTE Standards for Students based rubric I created for this unit on the ISTE Standards page. All of my planning was online but is no longer active as the site changes with each new unit. My students are producing websites in order to share their research in an accessible, communicative online format in the hopes of helping others understand how to better protect themselves, protect others and manage their digital footprints. This is some serious stuff. Open and available, teachers helping teachers. YOU MUST CHECK THIS OUT! 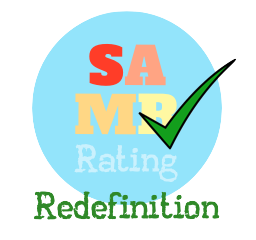 It has taken me more time than I imagined to set it up (with automatic grading through Flubaroo, thank you very much) but is something I will be using for the rest of my tech teaching career. Impressive doesn't begin to explain this. Click the image to get started. We humans can often be all about hierarchies. We want to see what the top (mistakenly best?) looks like so we can achieve it. 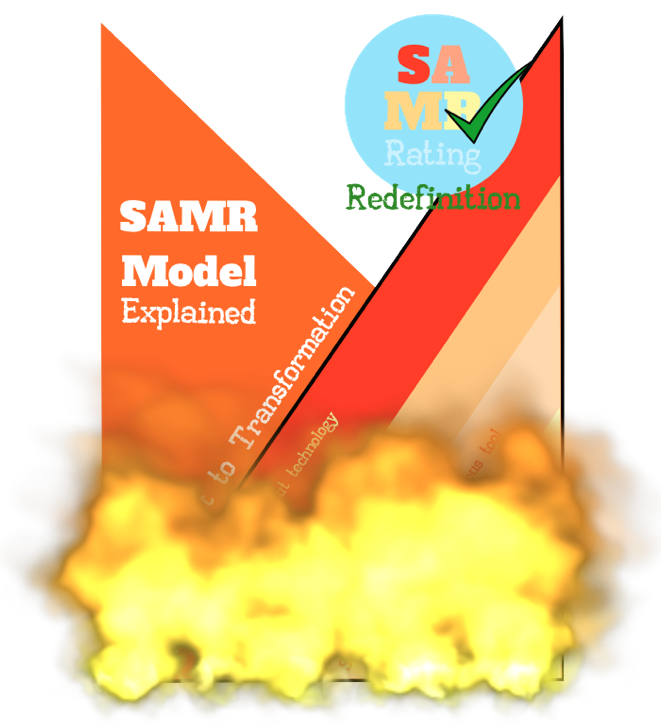 A wonderful part of our nature and I wouldn’t change this if I could, but, if I’m not mistaken, (and I would love to hear your thoughts on this) the SAMR model apparently screams at us that Redefinition, doing things in new ways, is what we should be after in our practice. I’m not sold on this. Why?